Last year we took a unique trip to Mexico to celebrate my older son's high school graduation. 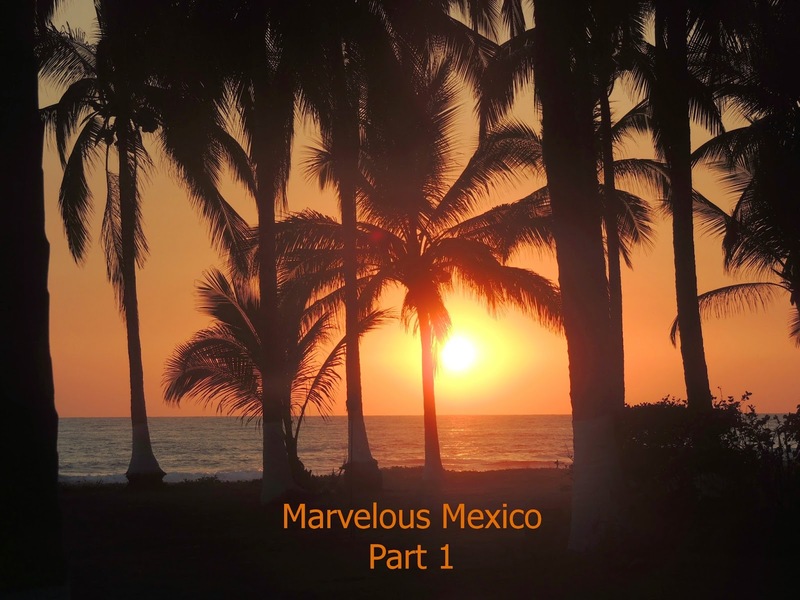 I'll share the trip in several parts over the next few weeks, so if you're looking for a vacation away from the normal resort towns of Mexico, read on. My hubby and I wanted to experience traditional Mexico in a safe and family friendly area. 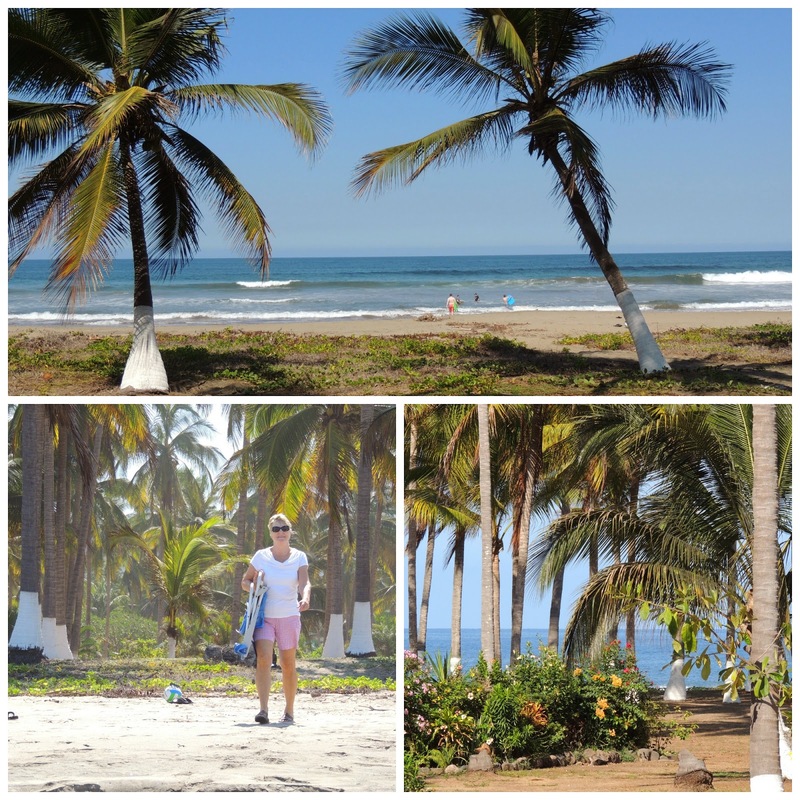 When our well traveled friends recommended Playa Las Tortugas (Turtle Beach) in the Riviera Nayarit region of the Pacific Coast, we knew we had found just the place. As we were planning the trip my sister and her family and my parents decided they wanted to come along. Don't they look wide awake and excited? We headed out of Seattle very early for a long day of travel. We flew into Puerto Vallarta and met up with our shuttle driver. Our end destination was still almost two hours away. We drove through jungles, beach towns, small villages and large resort communities until we finally reached a sign at the end of a dirt road that pointed to our home for the next ten days. 30 minutes and quite a bumpy and dusty ride later, we turned the corner and found paradise! The house we rented was large enough for the entire family to stay together. The community of ten villas sat in the middle of a coconut palm plantation. And the beach! It was a short 30 second walk from the house, and featured five miles of white sand. The water was warm and the waves were just the right size for boogie boarding. The price of the house included a wonderful housekeeper named Bella. We paid extra for meals, and every morning we woke up to this on the back patio. 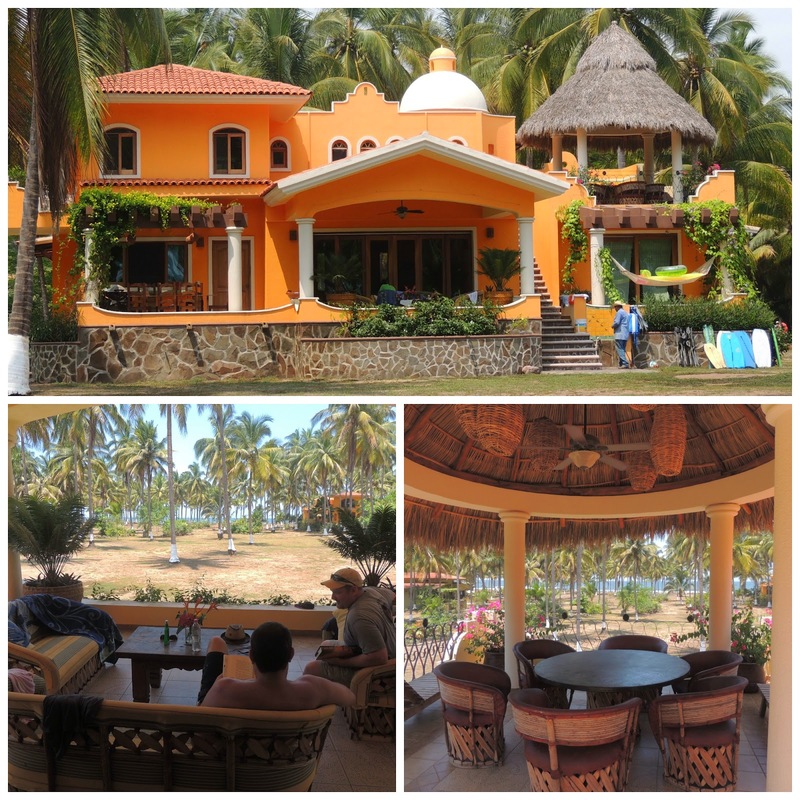 We spent our first few days playing on the beach and relaxing in our beautiful villa. Nobody wanted to leave. In the spirit of full disclosure, this vacation was not Travel Channel perfect. It was hot - REALLY hot. The house had air conditioning - but only in the bedrooms. There were big bugs - the boys had an ongoing battle with them in the bathroom. Several nights we had huge thunderstorms that knocked out the power - and the air conditioning. But overall we loved being together and enjoying some down time. Next week I'll write about some of the adventures we took in Marvelous Mexico Part II. This sounds so relaxing! I love the idea of being able to pay extra for someone else to make meals. That's even better than eating out all the time because you don't have to get ready and leave the beach! Not having to worry about shopping for groceries and cooking was one of the best parts of the trip! Wow thanks for sharing there awesome images!!! Beautiful!! Mexico Vacations have their challenges but so fun and an adventure as well. Looks like you had a blast. We had so much fun. Wish I was there right now! I've traveled quite a bit and I honestly don't think there IS any such thing as "Travel Channel perfect" unless maybe you have unlimited funds. I do have to admit that the little glitches are what make the stories so colorful in later years. It looks like you found a beautiful location and had, overall, a glorious time. Thanks for stopping by. It was glorious, even with the glitches. Sounds like a perfect vacation to me! Thanks for sharing these beautiful pictures. The hardest part must have been coming home! It was definitely hard to come back to Seattle weather! Sounds like a great trip. The house is beautiful. Love that you had a housekeeper too! I think the housekeeper was one of the best parts! It looks gorgeous! To be honest, I'm not the heartiest traveler, and often worry about getting sick from local food & water. But that setting might be worth the risk! I have always wanted to rent a villa with a housekeeper! We keep talking about getting a group of friends together, but it doesn't seem to happen. Looks like a great week, despite the bugs and heat! Thanks Amy. It was so much fun, and the housekeeper was wonderful! Oh, this looks marvelous, Lana! Moving on to part two . . .
Yay, glad you enjoyed it.